Not since Bill Gubelmann raced a Ford Capri in 1975 has there been an American in the British Touring Car Championship. Colorado-born Robb Holland will be racing a Honda Civic S2000, taking the fight to the Brits. 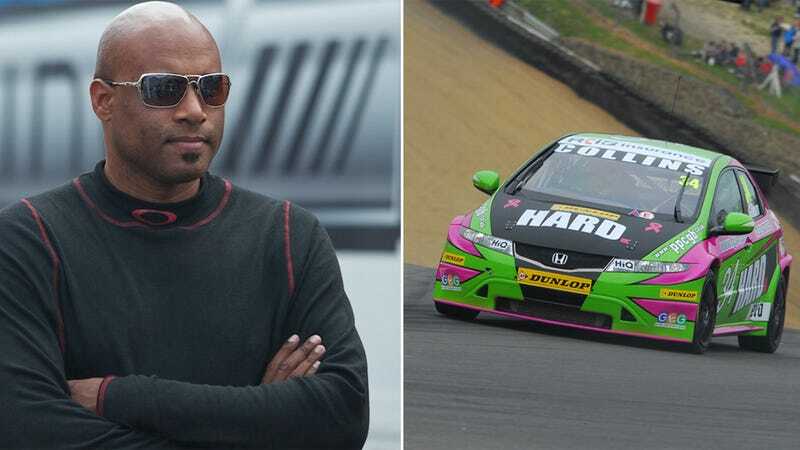 Holland, 44, recently raced in the SCCA Pirelli World Challenge in the very familiar Project Grocery Getter K-PAX Volvo C30 in 2011 and started driving a Honda Civic this year. He's also a contributor to Jalopnik and one of our favorite racers on the planet (and not just because he has a lifetime of free Ben & Jerry's coming to him). He's moving to Team HARD, who are currently ninth in the standings out of fourteen. Holland admits clawing up points will be a challenge, but not the greatest he will face. But I think the biggest challenge for me will be racing a right hand drive car for the first time…I'm sure after a few sessions though I'll have it sorted out on track but I think the team is already placing bets on how many times I try to get in the car from the wrong side. We're rooting for him now and we'll wish him a speedy recovery if he does put that Honda in the wrong place. AMERICA!